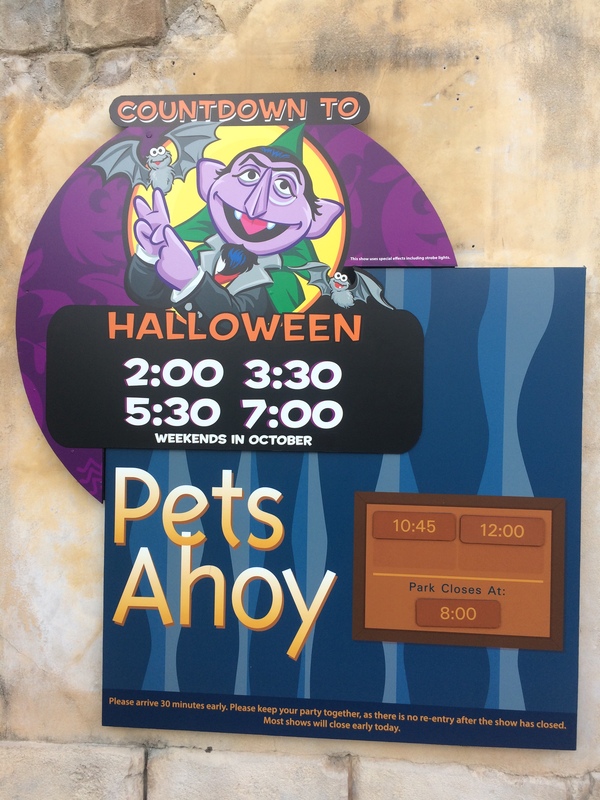 This is basically SeaWorld’s version of Mickey’s Not so Scary Halloween Party and is very kid friendly so if you’re looking for spooks, haunts, and to be scared then this isn’t the place for you. 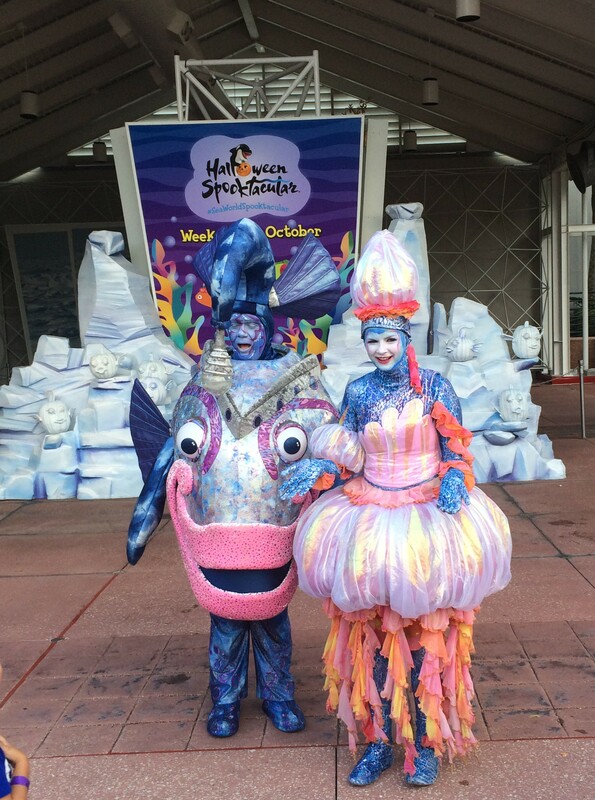 SeaWorld has been doing this event annually at the SeaWorld parks in San Diego and Orlando since 2008 and it’s been getting a little bigger every year. 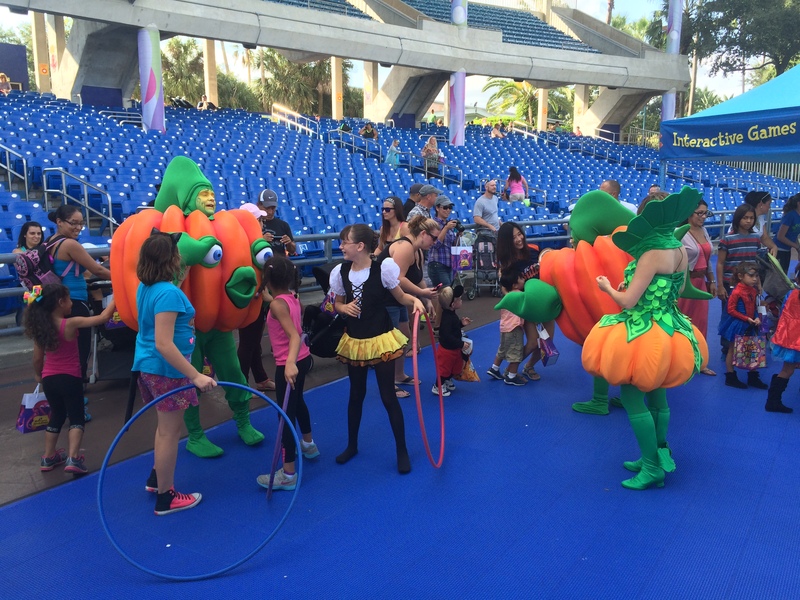 This one is geared towards kids from toddlers to about ten to twelve years of age. 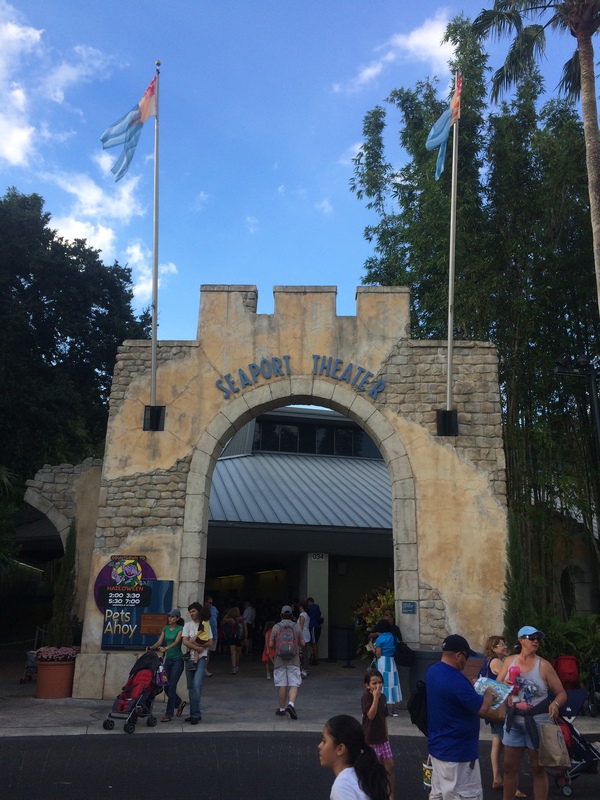 This event takes place in the western side of the park in the Shamu’s Happy Harbor, Bayside Stadium, and Ports of Call (special events) areas with one indoor show showing at the Seaport Theater in the Waterfront area. 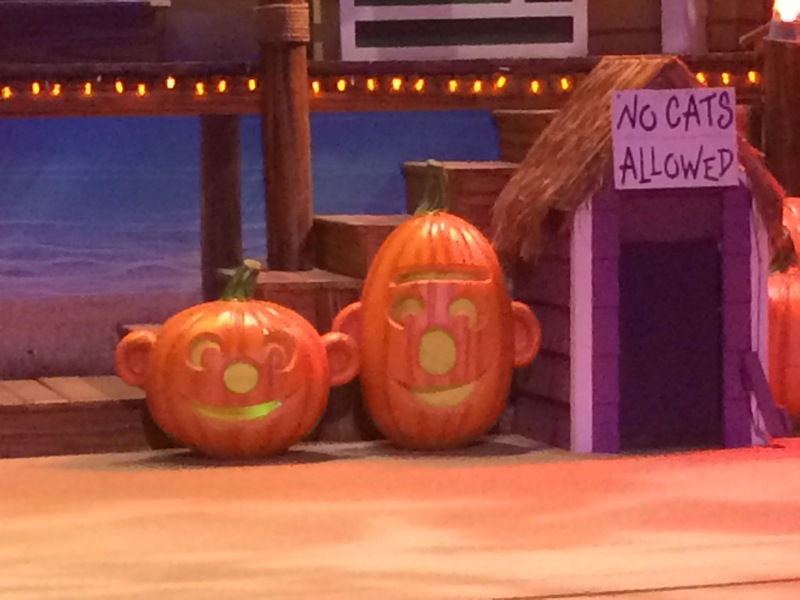 This event occurs during the weekends in October only and you kid(s) and adults can dress in their costumes provide they’re faces aren’t covered up by masks. 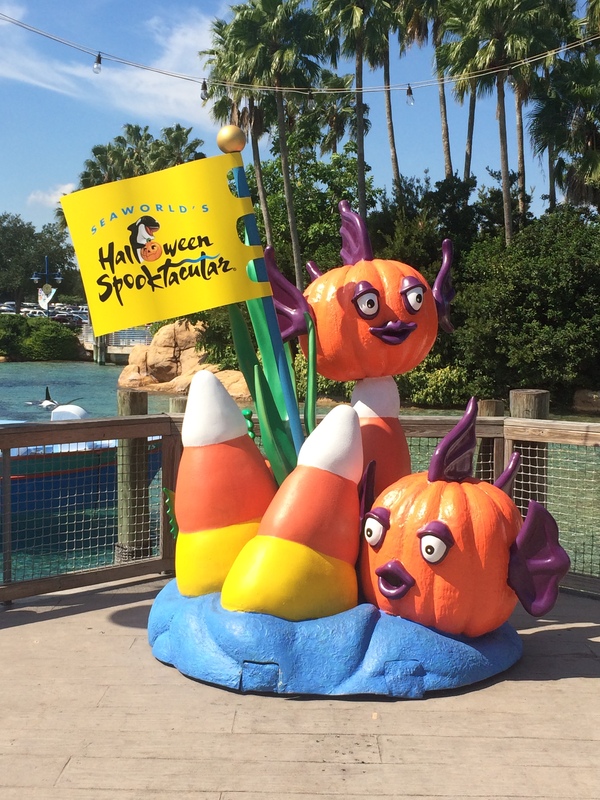 With that being said, we’ll start in the Shamu’s Happy Harbor area but before we begin, we’ll need to pick up our free “trick or treat” bags before we enter because there are lots of places to pick up free candy during Halloween. 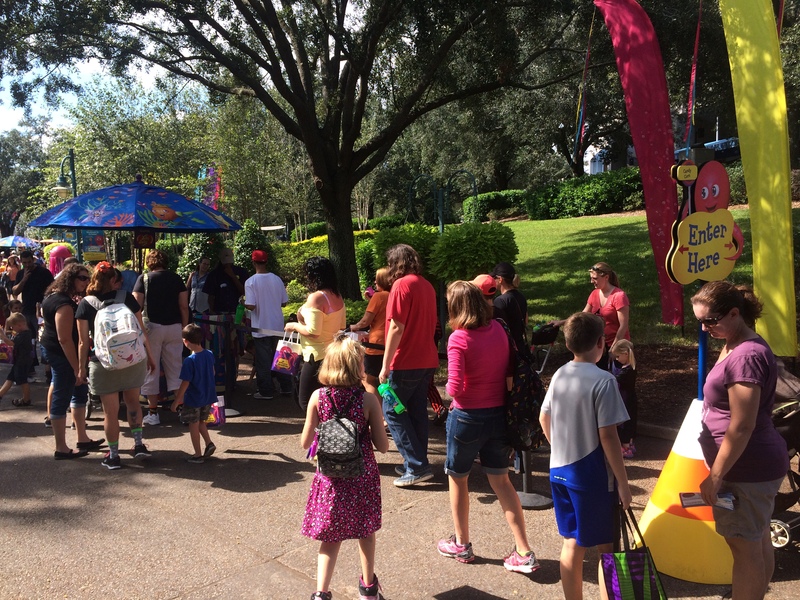 Once you get in, you’ll see there are quite a few places that free candy throughout the area but you’ll need to wait in line and you only get two pieces of candy at each station. 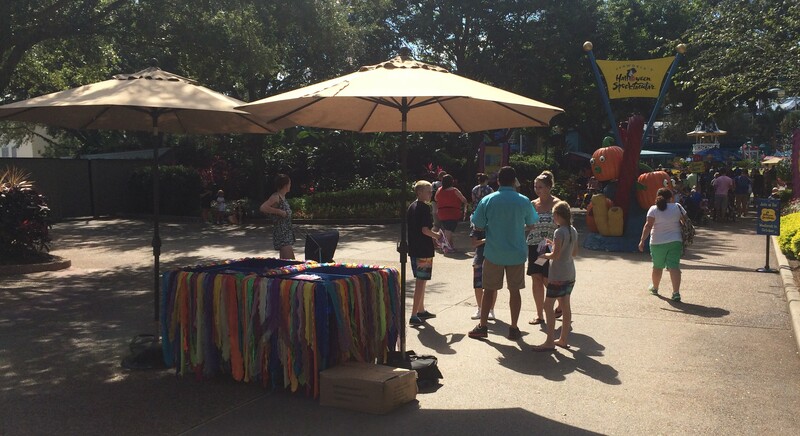 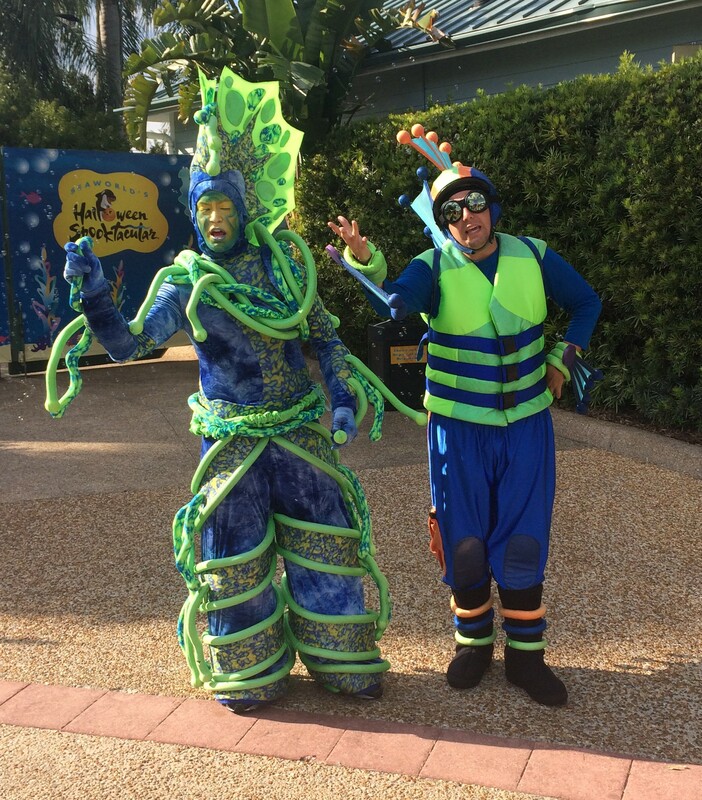 This event is supposed to be a Halloween under the sea as there are several bubble machine that are constantly blowing bubbles and all the walk around characters and set pieces have an under the sea theme to them. 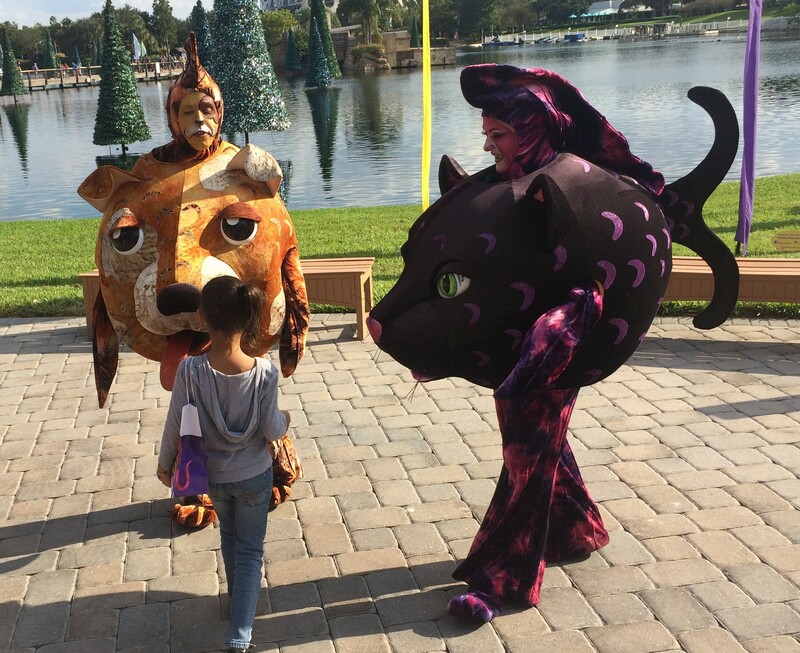 Here are all the different character actors you can meet and get a photo with in this area. 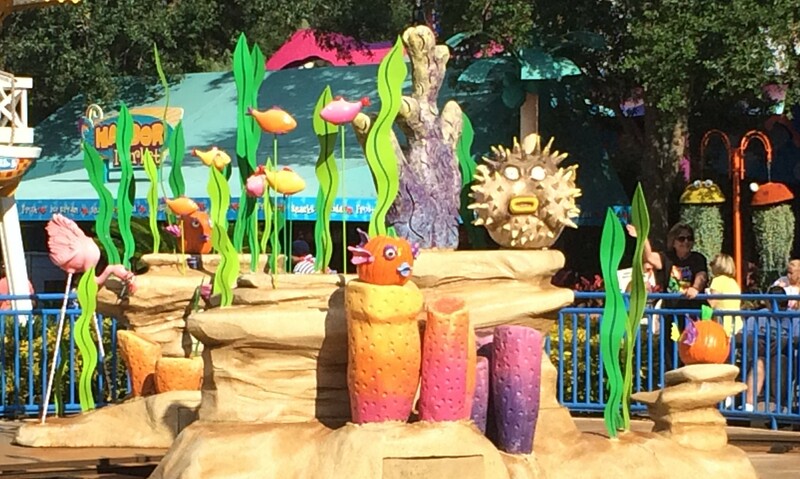 The theming has even made it into some of the kiddy rides like the Seven Seas Railroad. 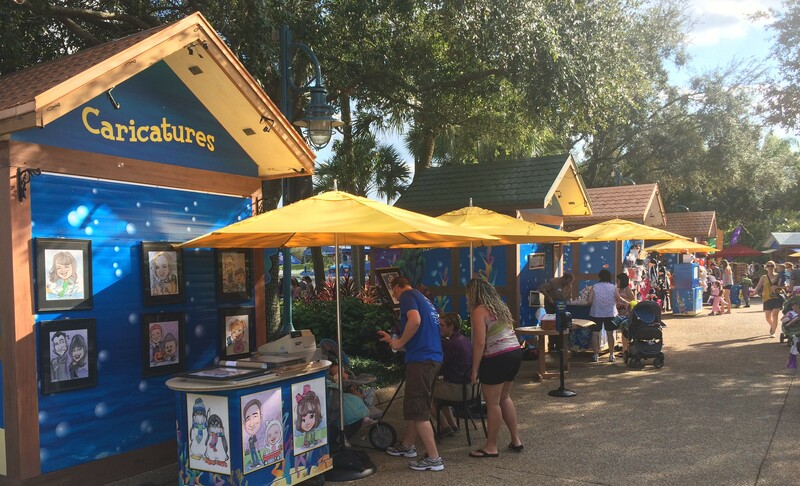 Some characters do stay in one place and some walk around so you’ll just have to catch them at the right time and place. 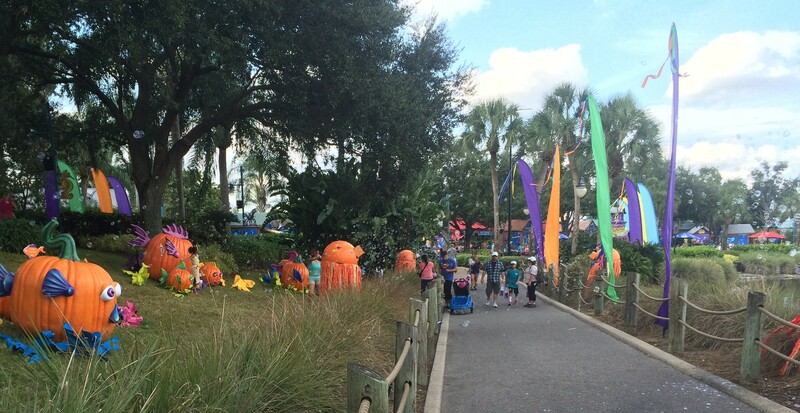 Now we’ll walk to the Bayside Stadium/Ports of Call area to see what is in that area and we find that it has lots of activities, games, and meet and greet areas for the kids. 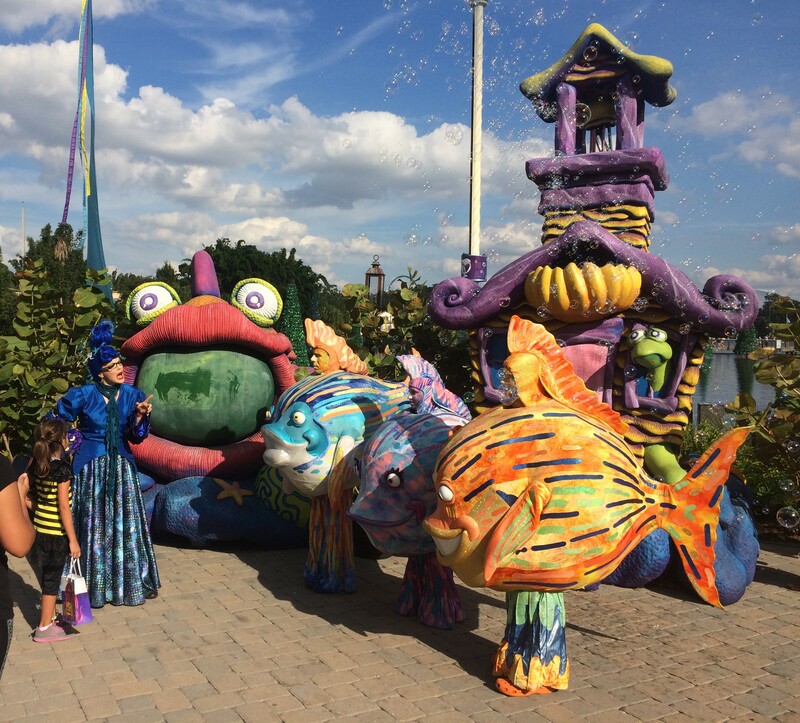 Now that the kids have enjoyed playing games, dancing, and playing with the hula-hoops, we’ll walk along the shoreline where your kids can push buttons to hear certain fishy sounds or control the water jets, then through the Pumpkinfish Patch to the special events area. 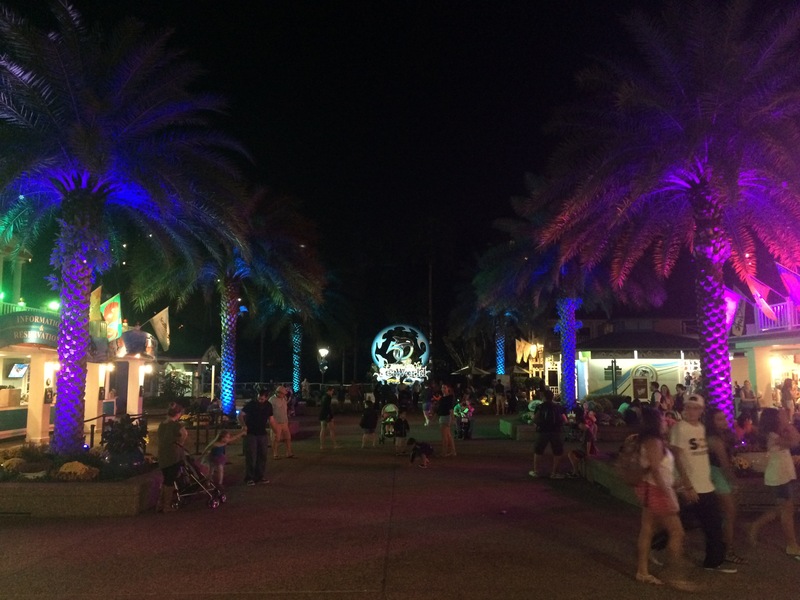 Now we’re in the special events area which is only open during certain times of the year like Christmas, Halloween, or for the Bands, Brew, and BBQ, and Latin Music Fest held during the summer and spring months. 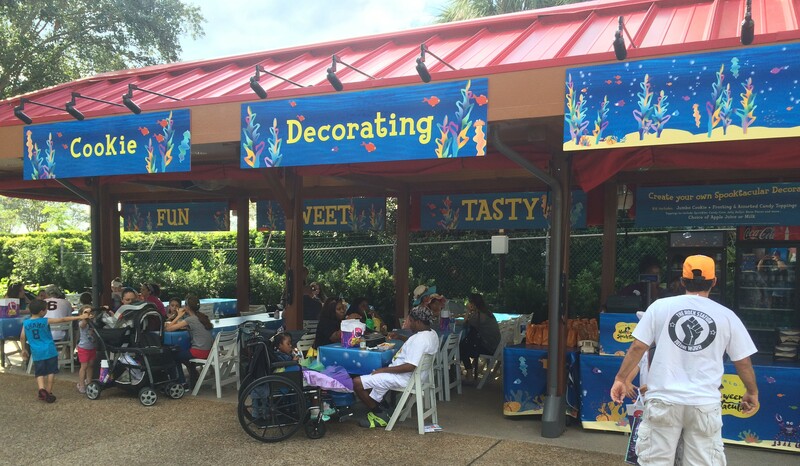 Here you can decorate things or food, get you Caricatures drawn or by seasonal items or food. 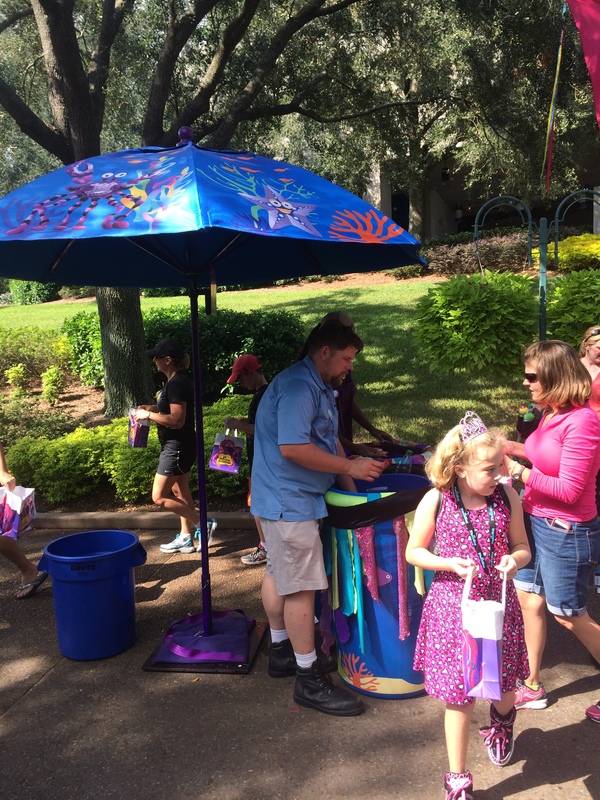 There are also more meet and greet locations here as well as trick or treat locations where you can get more free candy. 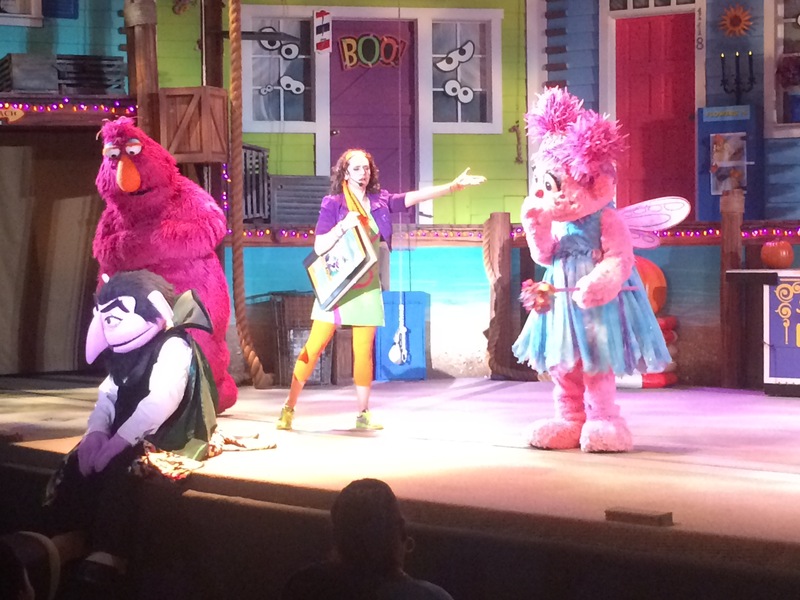 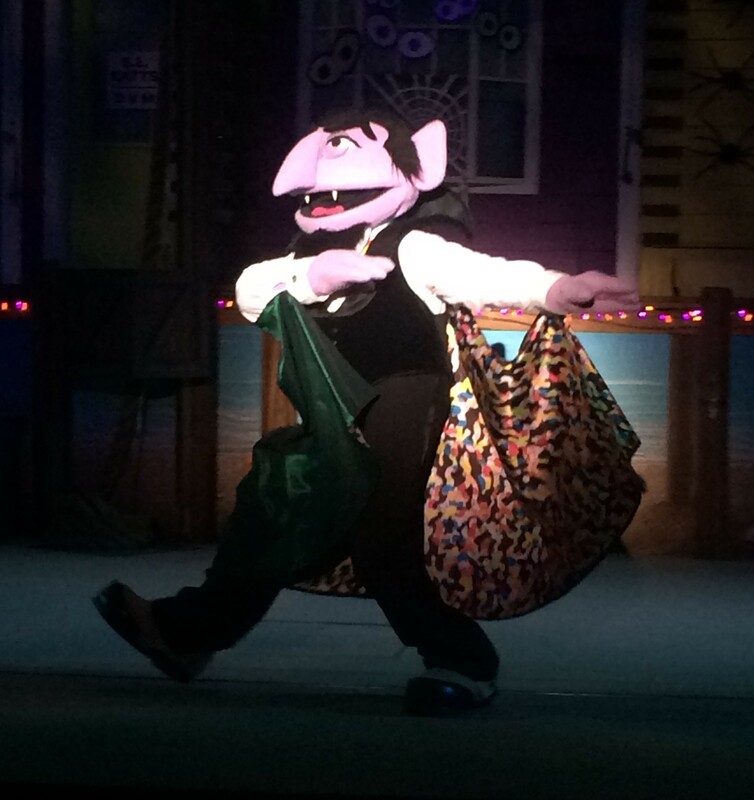 Our last stop of the day is a show called Countdown to Halloween featuring the Count, Elmo, Zoe, Telly, and Abby Caddaby, from Sesame Street. 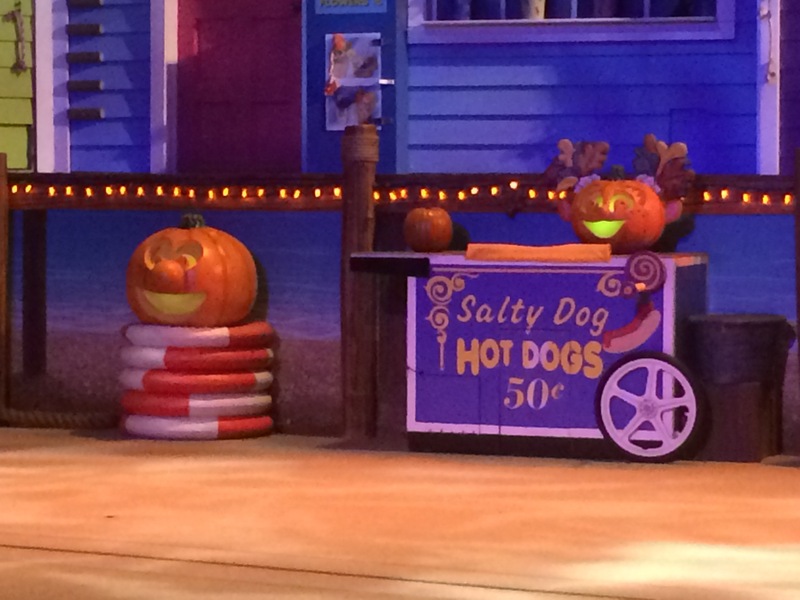 This show is located in the Seaport Theater in the Waterfront area. 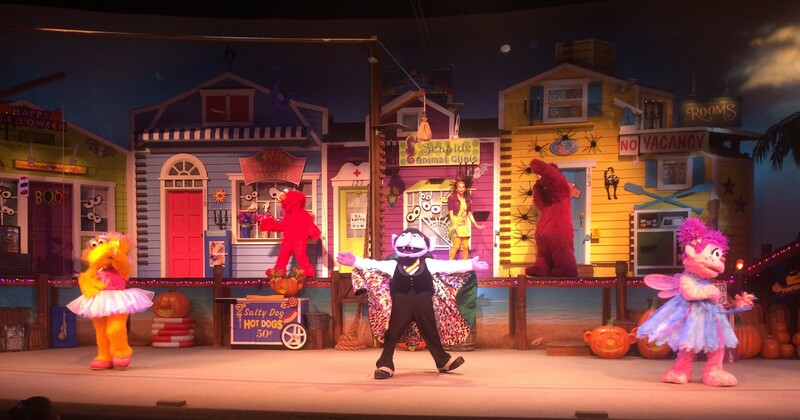 It normally hosts the Pets Ahoy show but it also hosts this show in addition to the animal show on weekends in October. 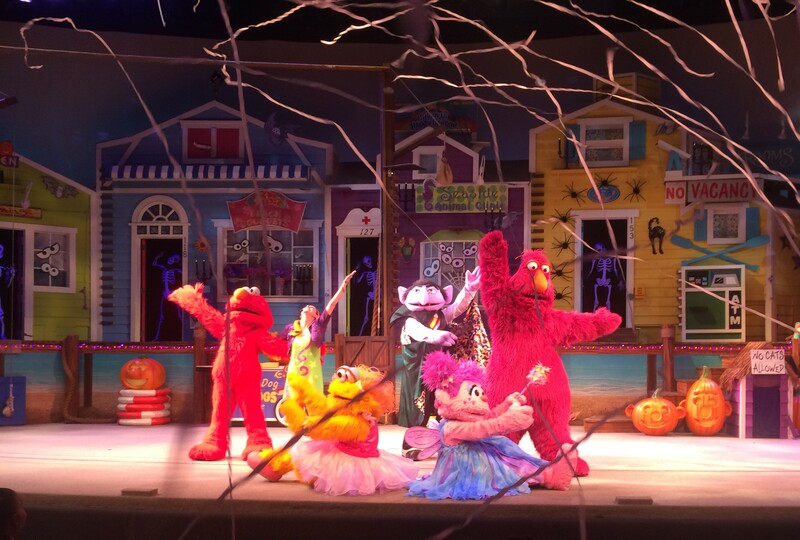 The story line of this show is that the Count thinks he’s going to spend Halloween all alone and Elmo and his friends convince him otherwise. 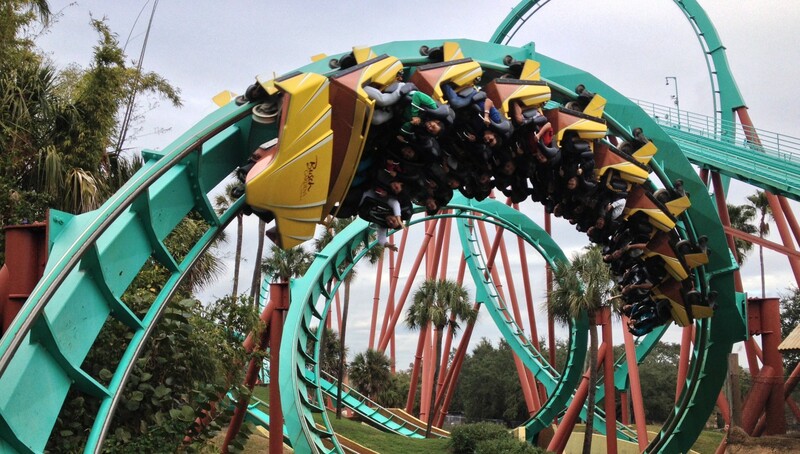 Now wasn’t that fun? 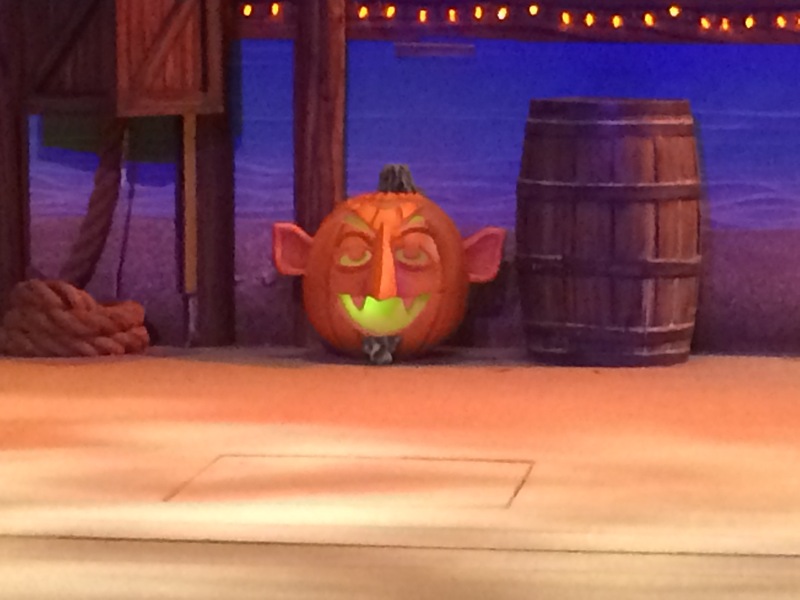 Shure it was! 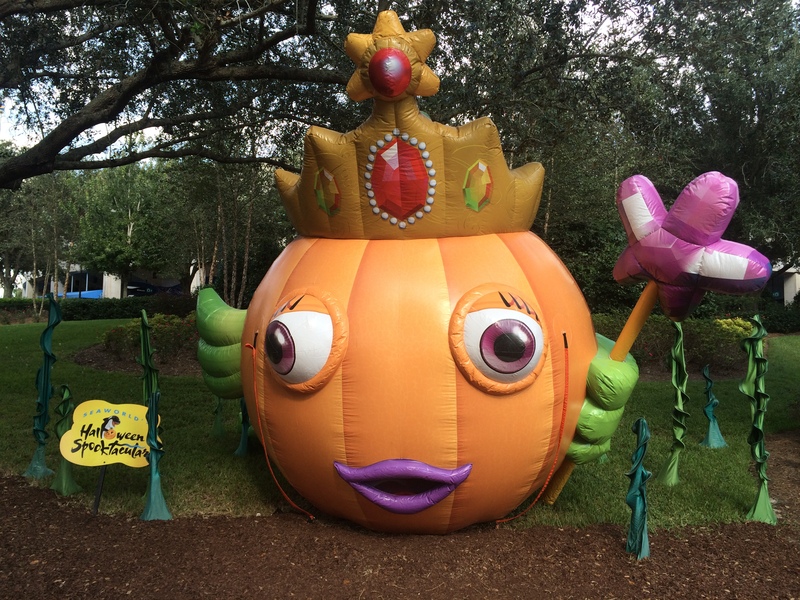 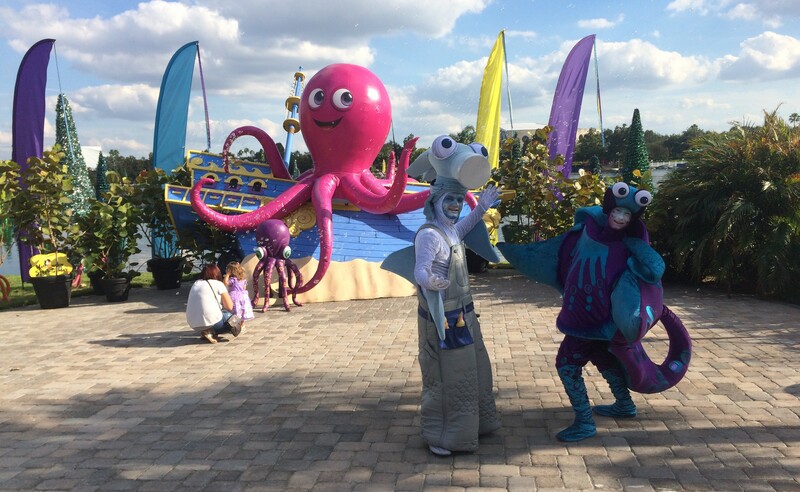 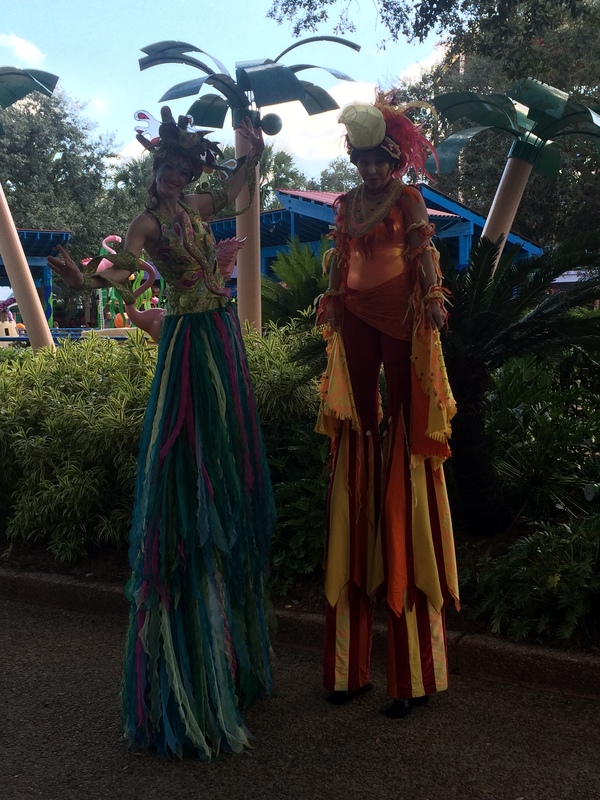 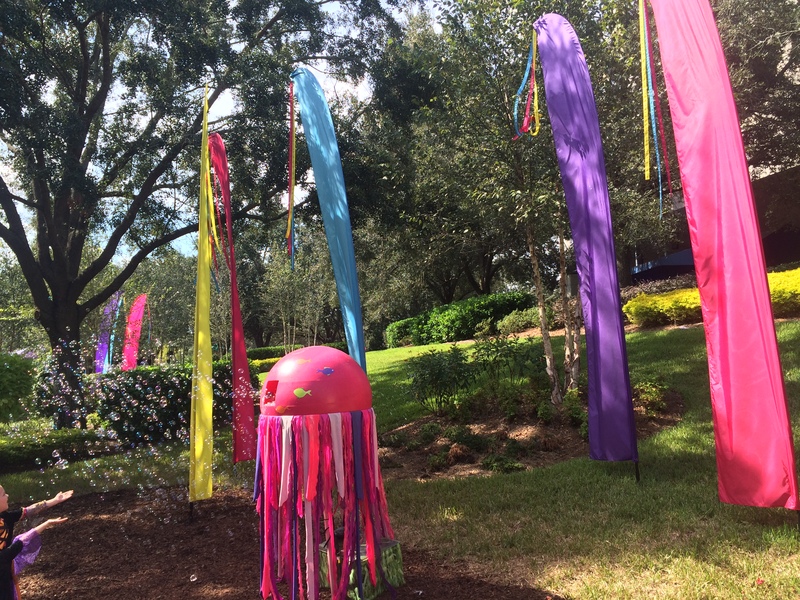 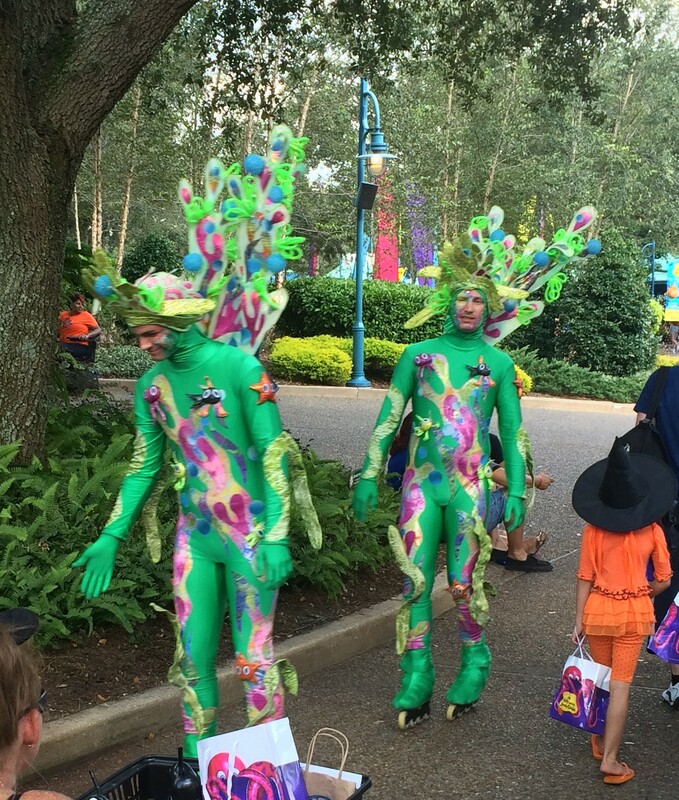 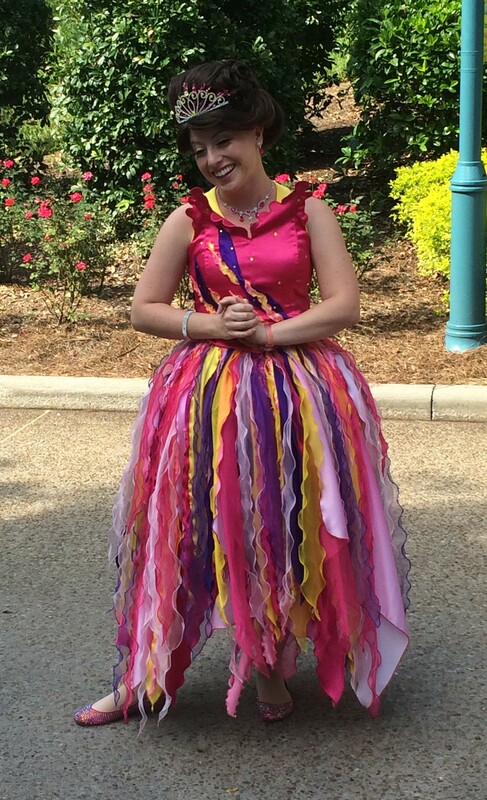 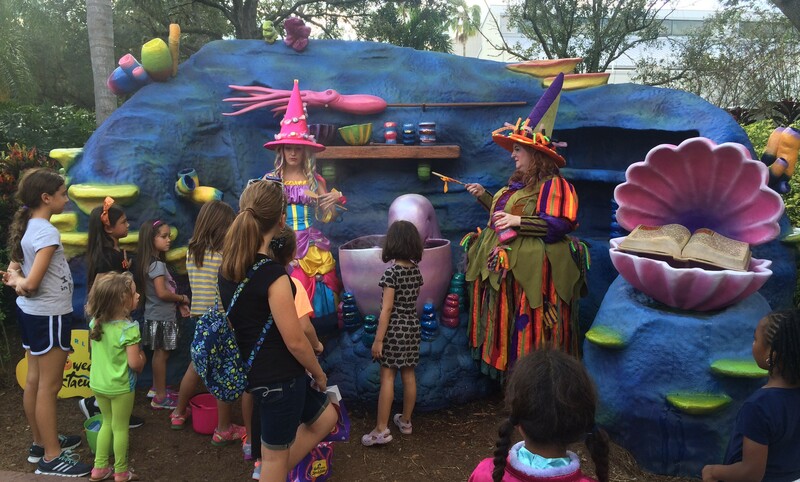 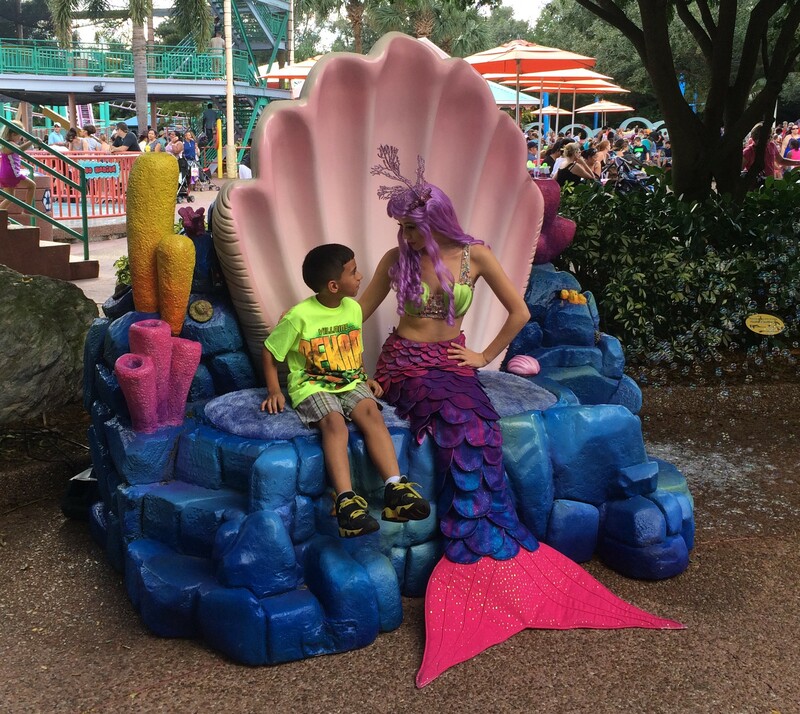 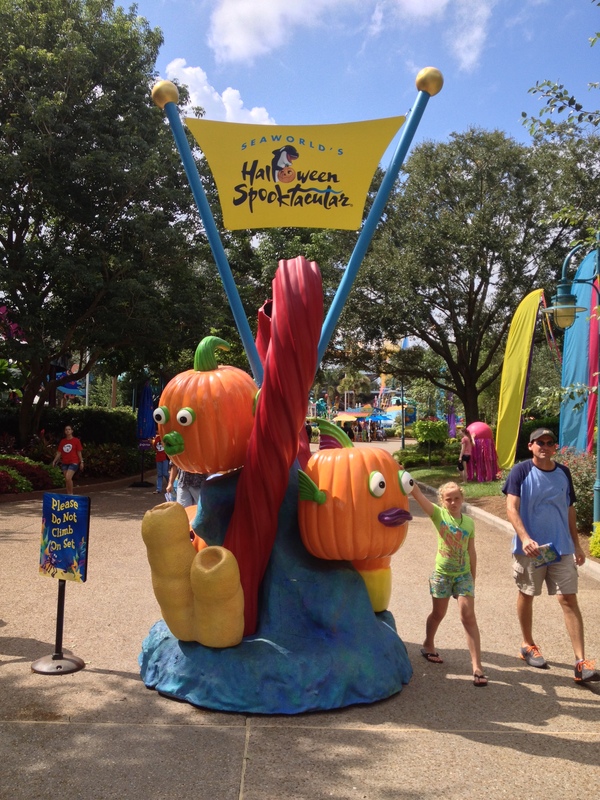 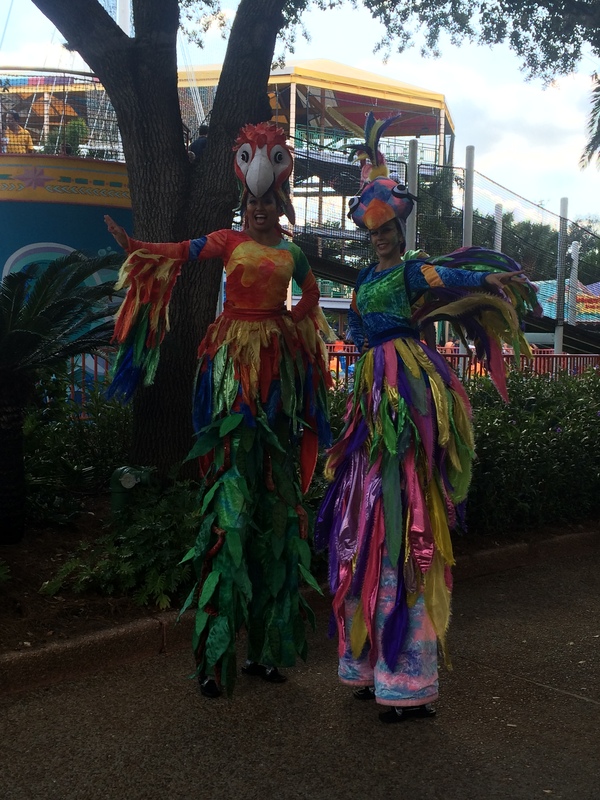 I hope your candy bags were full and you’ve enjoyed this short review of a kid friendly Halloween event at SeaWorld Orlando.